For a long time now consumers have complained about unwanted telemarketing calls and SMSes spamming their inbox, but all that is about to change. The Telecom Regulatory Authority of India (TRAI) has notified (took their own sweet time too) that the new guidelines for telemarketers will come into effect from September 27, 2011. Techcircle.in looks at the new system and some loopholes one should be aware of. First things first, both mobile and fixed line subscribers can register with the National Customer Preference Register (earlier known as Do Not Call Registry) to filter all kinds of unwanted commercial calls and SMSes. To register with NCPR, customers will have to either dial a toll free number- 1909 or send an SMS. They can also change their preferences in the NCPR after seven days (previously 3 months) of making any changes. The seven categories acknowledged by TRAI as telemarketing calls include banking and financial products, real estate, education, healthcare, consumer goods and automobiles, communication/entertainment and tourism and leisure. Also, 0900 Hrs to 2100 Hrs is the only time frame given to Access Providers for any kind of commercial communication (except transactional messages) with the customers. The new regulations will no doubt help ease the pain of troubled subscribers but will they also mark the end of SMS and Call blockers available in the market? After all, why would anyone pay as much as Rs 250 for downloading a call and SMS blocking application on when they can do it for free by registering with NCPR. Today, there is a wide range of SMS blockers available in the markets that help users filter unwanted calls and SMSes. 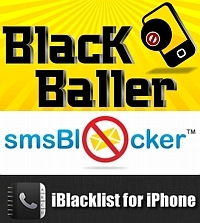 Some of the popular ones are iBlacklist (iPhone), BlackBaller SMS & Call Filter (Android), Call & SMS Filter (Symbian) and SRS Call SMS and eMail Spam Blocker (BlackBerry). These have to be purchased and can be downloaded and installed directly in the Smartphone's from their respective application stores (like iTunes store and the Android market etc). But with NCPR, what purpose will they actually serve? Sagar Bedmutha, CEO, Optinno Mobitech Pvt. Ltd., the company behind smsBlocker throws some fresh light. "Although the new guidelines from TRAI will benefit mobile subscribers in India, the regulations are not without their flaws. For example, if a user wants to receive SMSes from even once service provider (like their own bank notifications), they will have to activate the complete category," he says. For example, if an AXIS bank customer wants to receive communication of the bank (apart from transactional messages), he/she will have to activate the banking and financial products category. This will enable not only his/her bank, but rather every financial services provider to communicate with him/her, posing the same old problem of spam. "Also, the customers won't be able to complain to TRAI about spam now, since they will be the ones who activated the category," added Sagar. But the most annoying problem with the new regulations is that there will only be numbers displaced on messages now unlike earlier when the messages showed the name of the sender. So if anyone has activated the banking and financial products category, they won't be able to distinguish between relevant content and spam. The only way to do this is would be to read every message individually leading to the problem of force feed. How beneficial will the new guidelines actually be, is something we will get to know once the new regulations are implemented, but there is no denying the popularity of NCPR. As of now, more than 130 million mobile users have already registered with the National Do Not Call Registry and this number is only increasing with time.